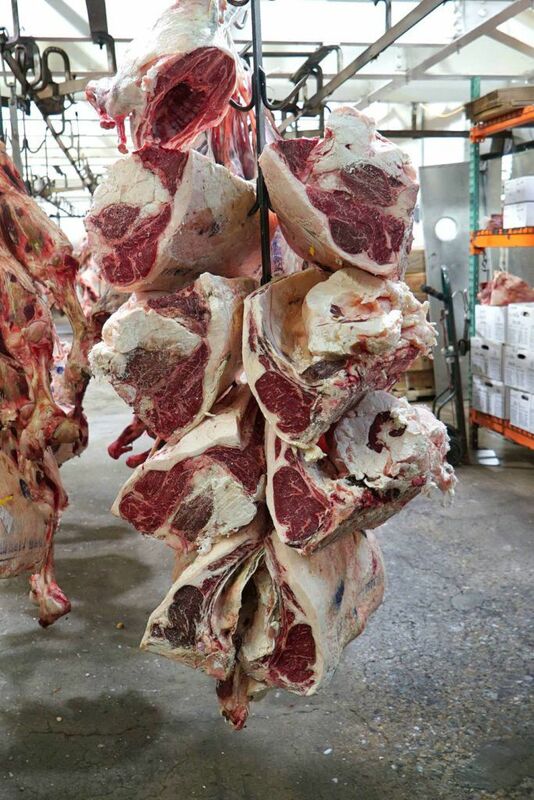 KSF Wholesale Food Press Online - King Solomon Foods INC.
King Solomon Foods is a family owned wholesale meat operation that’s been in business in Brooklyn since 1938, making them one of the oldest wholesalers to distribute in the city. They serve restaurants, supermarkets, country clubs, delis, you name it… from all over New York City to all the way out in eastern Long Island. 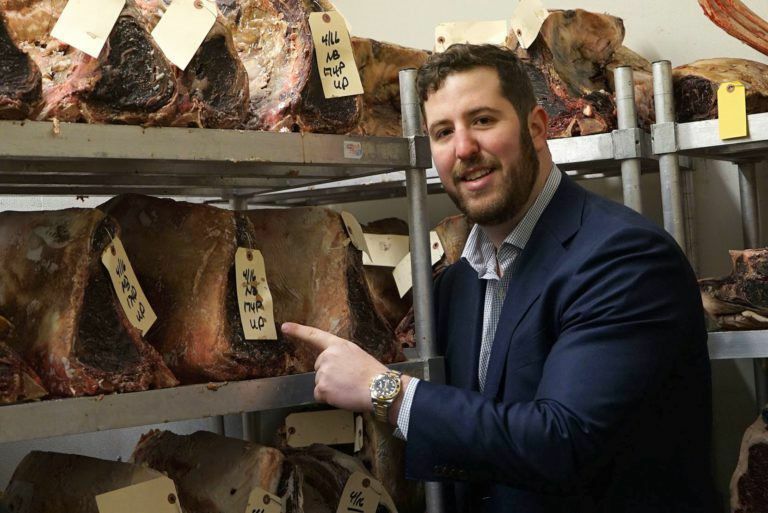 Even some of the biggest named steakhouses in the area get beef from King Solomon Foods. These were all going to Peter Luger’s. 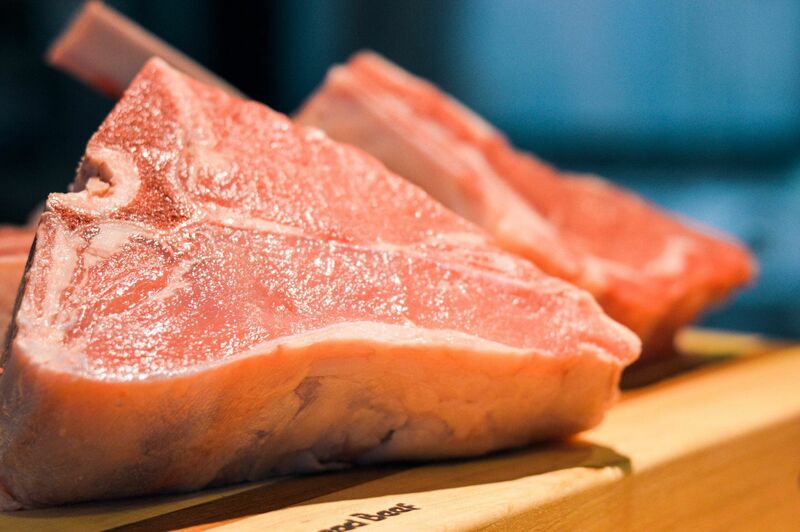 In addition to Luger’s, they’ve also supplied places like Ben & Jacks, Old Homestead and Primal Cut in Manhattan. 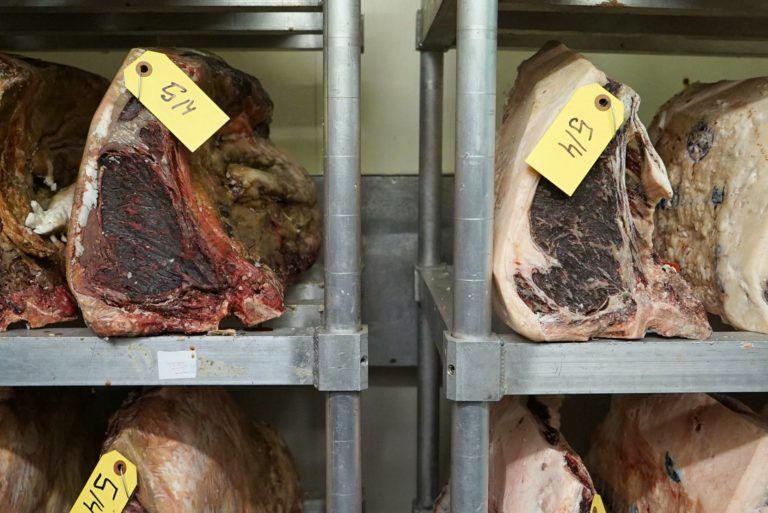 Some places even hand pick their meat in the facility. 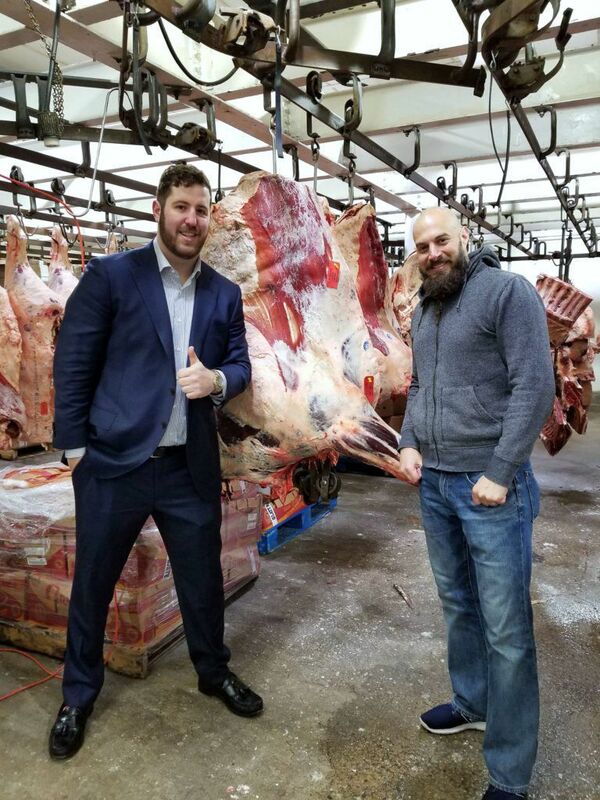 Last weekend, Grant Siegel, Vice President of Sales, gave me a tour of the King Solomon facility, which is located on the water in Sunset Park, Brooklyn. Grant represents five generations of the family business. As a former college football athlete from Colgate, his competitive nature is an asset to the company. 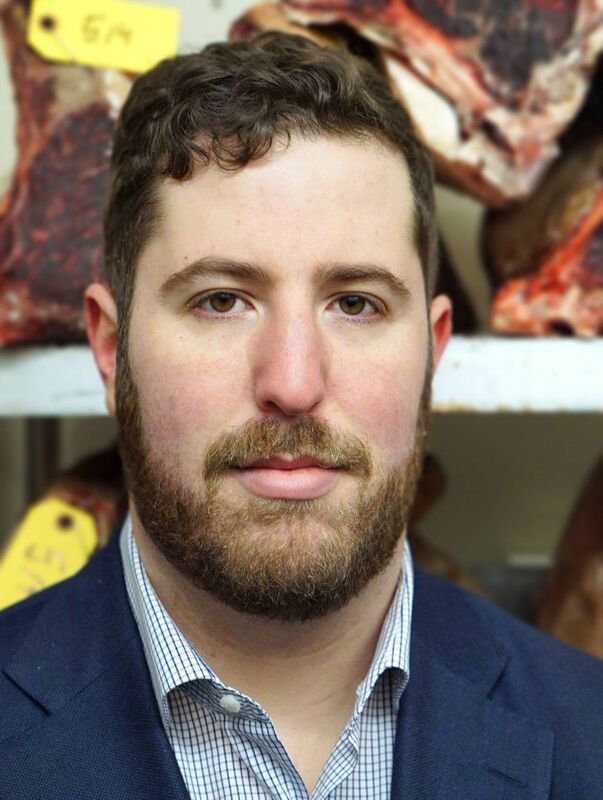 He’s young, just 23, and he’s aggressively marketing and selling their high quality meats with the goal of making King Solomon a transcendental force in the game. 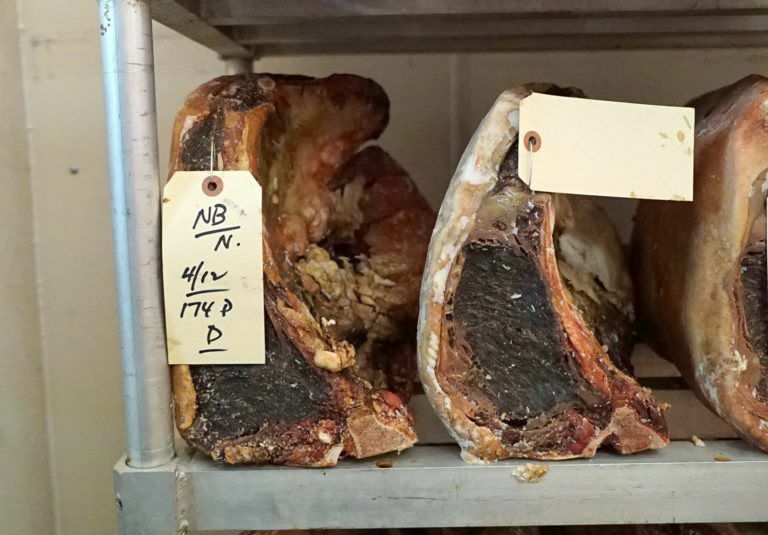 Not many purveyors in the city are getting fresh carcasses like this anymore. There are maybe four of them. 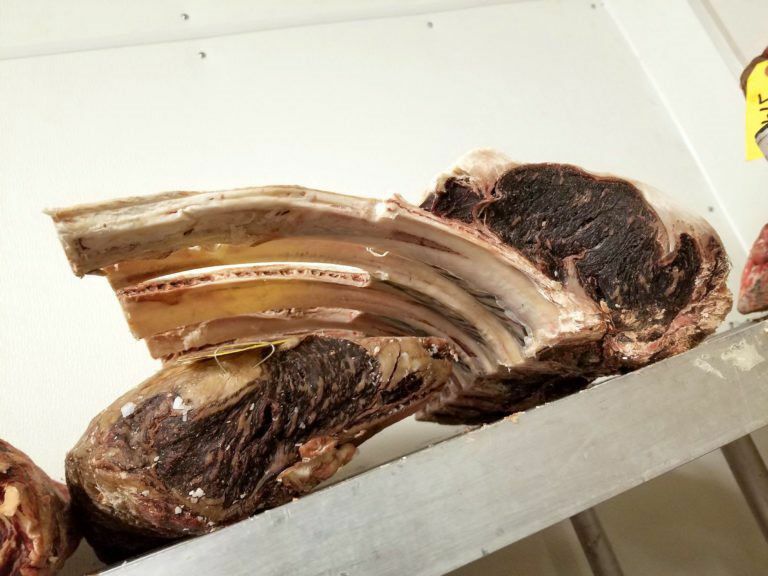 Most places are bringing in boxed beef and then further portioning that out for their customers. 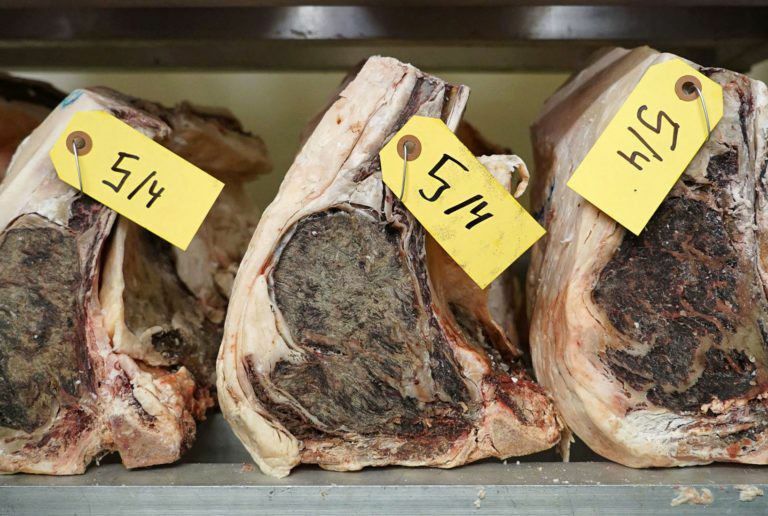 Both short loins had been aged for eight days at the time. 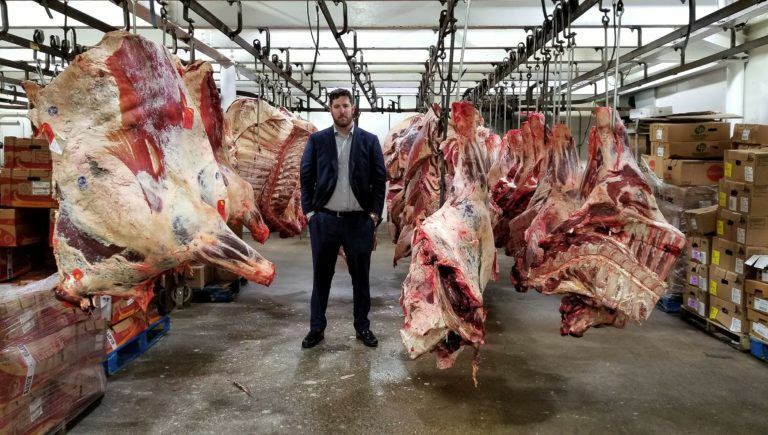 The one on the right was cut by King Somolon’s butchers directly from a fresh carcass, right there on premises. The one on the left is boxed beef. 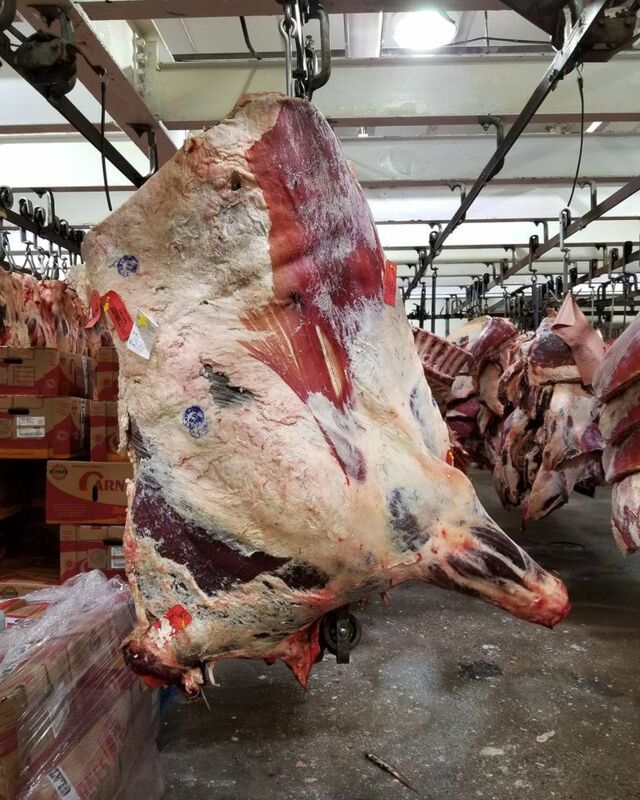 Boxed beef comes off the fabrication floor at slaughterhouses and is then sealed up in bags and sent out to distributors in boxes. 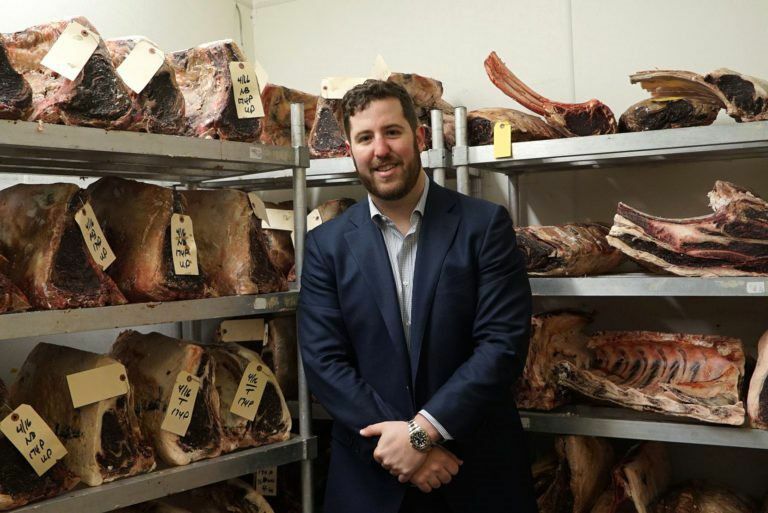 Distributors then break the beef down further depending on what their customers want (restaurants, delis, catering halls, etc). 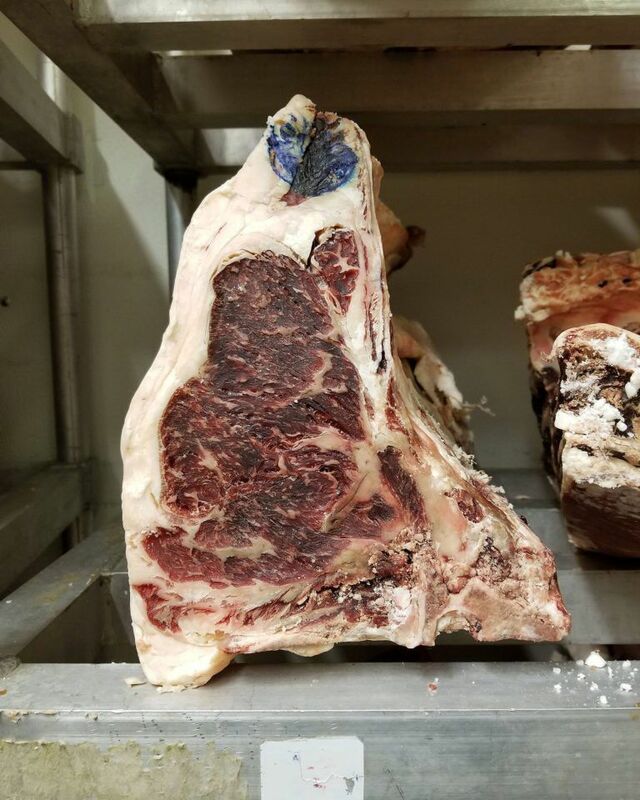 The difference in color and fat quality is staggering. 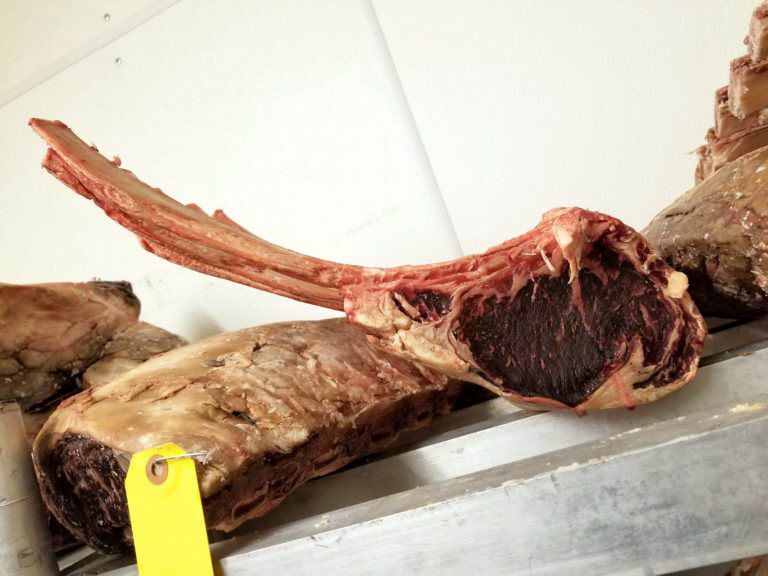 The fresh beef will have a much better flavor from the aging process. 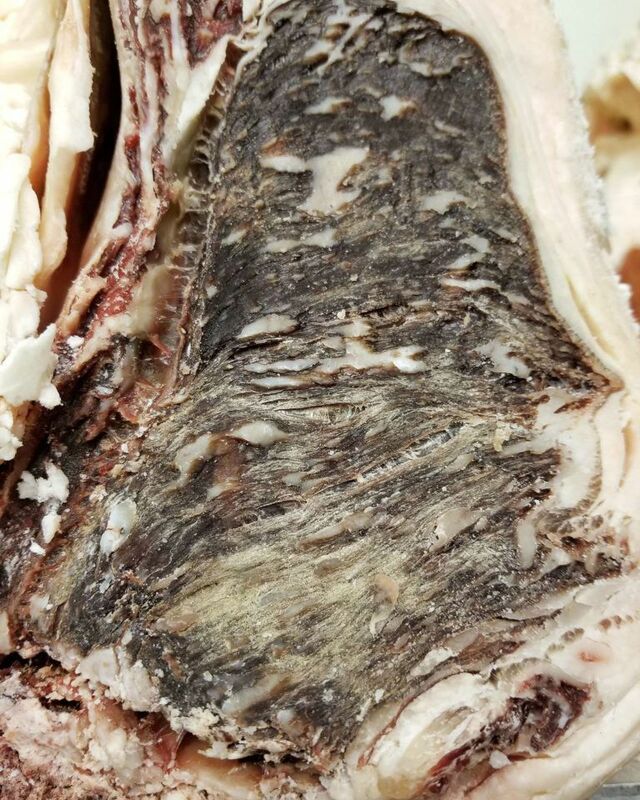 But I was blown away by how dark and aged it looked after just eight days. 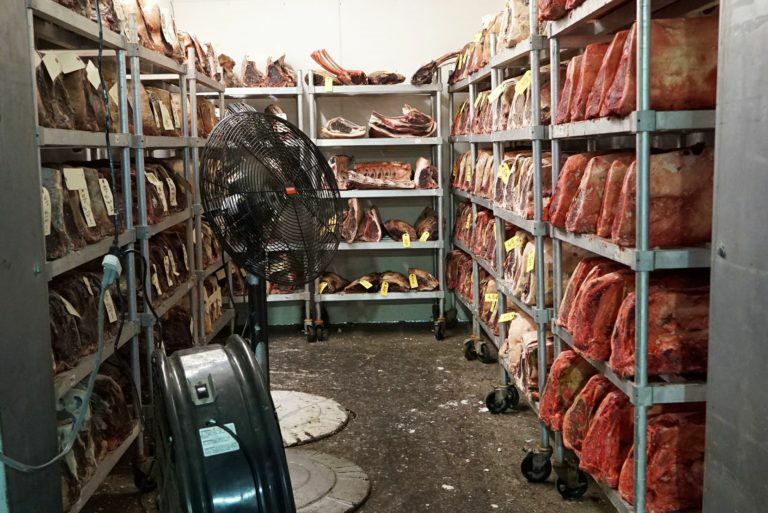 Speaking of dry aging, take a look at this nice room. Lots of good spacing and great air flow. To me, this is a treasure trove, and it’s probably worth about $100,000! 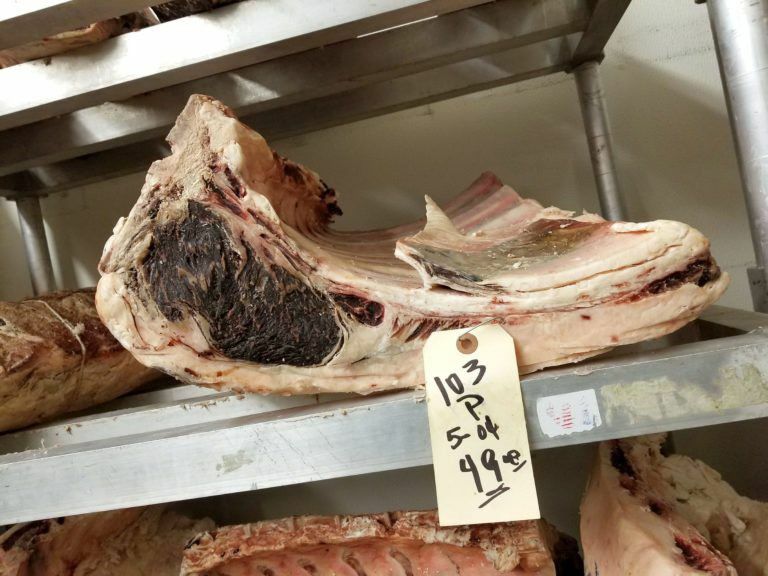 Almost everything I saw was stamped as Prime, and the smell of these short loins, especially the ones that were cut from fresh carcasses, was amazing.